BERLIN (AP) — Germany on Wednesday celebrated the 28th anniversary of the reunification of east and west, a process that Chancellor Angela Merkel said still isn’t complete. The country’s leaders voiced concern about divisions in society and the rise of populism. Germany was reunited on Oct. 3, 1990, following more than four decades of Cold War division, and less than a year after communist East Germany opened its heavily fortified border. While much progress has been made since then, economic and other differences between the west and the less prosperous east still persist. 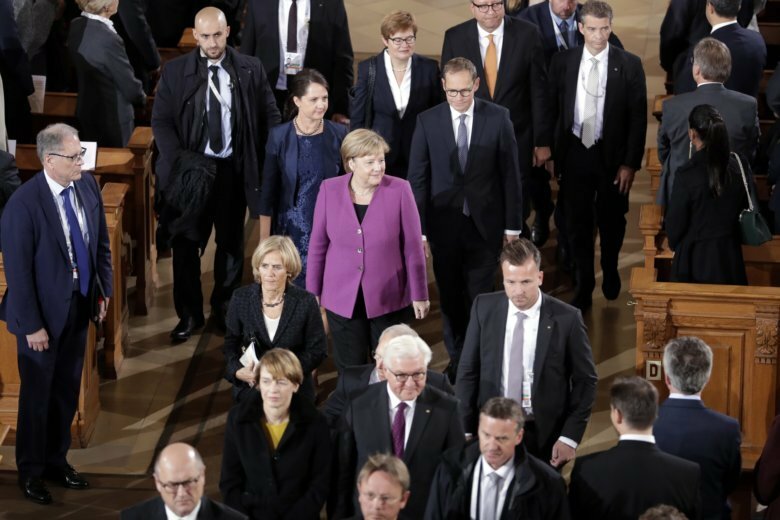 German leaders’ remarks at a ceremony marking Wednesday’s anniversary reflected concern about new divisions and polarization in German society — by no means all along east-west lines. Merkel, who grew up in East Germany, said that “German unity is not complete” and still poses challenges today. “Twenty-eight years later, we know that what we call German unity is a process, a long road, that calls on us again and again to listen to each other,” she said. Over the past three years, the arrival of large numbers of refugees and other migrants has fed increasing political polarization in Germany. The nationalist Alternative for Germany party, which has support across the country but is particularly strong in the east, entered the national parliament last year. Violent right-wing protests a month ago following the killing of a German man, allegedly by migrants, in the eastern city of Chemnitz, have added to concerns. “We won’t let ourselves be divided, and that is not a question of east and west — it is not that simple,” Berlin Mayor Michael Mueller told the main reunification ceremony at the capital’s Staatsoper opera house. There was a large police presence in Berlin, where roughly 1,000 people participated in a march by a right-wing group, many carrying German flags and chanting “Merkel must go.” They were kept apart from counter-demonstrators.